Rockaholics! 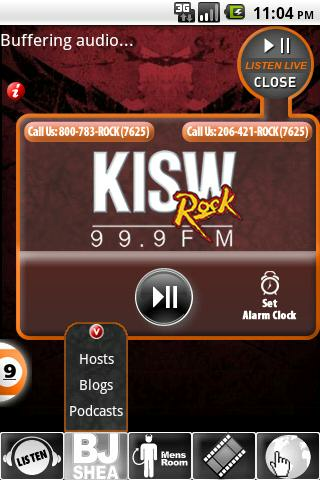 Download this app to hear 99.9 KISW – The ROCK of Seattle. Home of the BJ Shea Morning Experience, and The Men’s Room. 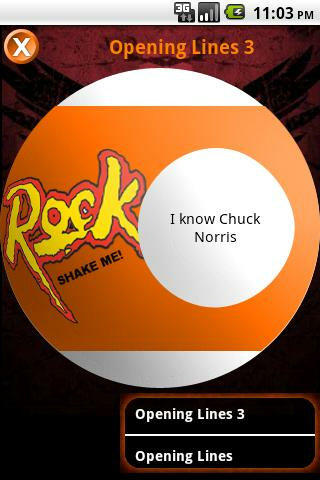 Listen to The Rock, check out blogs, podcasts and videos. Connect to Facebook and Twitter. Overuse of the KISW 9 Ball can result in a bad case of the cooties. KISW – Now on your Droid! v1.2: Fixed podcasts & videos for certain phones. New Release for SuperShow! * New functions of Share and Rotate. * Fix bugs of memory. High quality sound, kids will love it. shake to ring the christmas bell. Happy holidays!